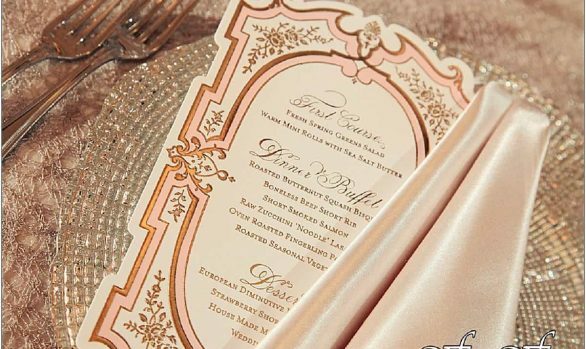 Keisha’s Washington DC wedding invitations were embossed with the monuments of Washington DC. Their initials were hidden within the embossing as well. Custom pocket folds were created with the map of Washington DC on a custom pocket invitation. Gold raised printing was used to print all of the pieces, including a custom map of the DC area. 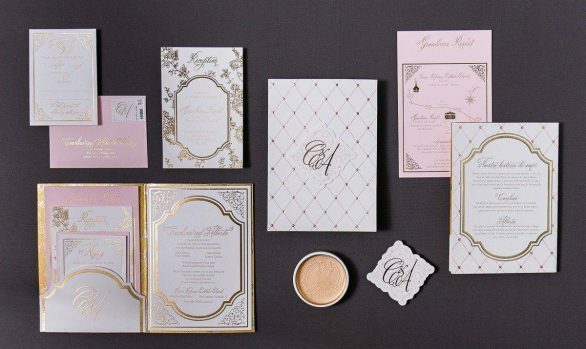 For the Andrew W. Mellon Auditorium wedding, custom paper was created with their monogram. Their monogram was used for lighting, cupcake toppers and many signs. 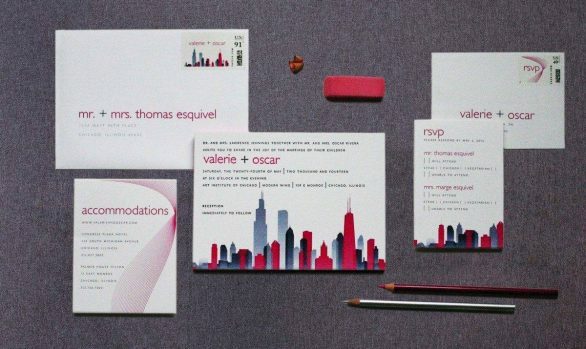 Washington DC wedding invitations can be designed with any version of the DC skyline!